Marylebone Area Guide - What makes Marylebone so great? Where do Marylebone locals go? As well as cocktail offers, this centrally located pub infuses its own alcohol, creating delicious drinks throughout the day and evenings. Located on the doorstep of Oxford Circus, The Langham is a grand hotel with impeccable service. Luxury at its best. 5 stars. This rustic Italian restaurant and wine bar has a cosy atmosphere. It's a great place for a family get together or an intimate date. The best place for lunch in Marylebone - partly a private members' club with an elegant atmosphere. If you're ever in a rush for some flowers for a loved one, just pop up to this drive-thru florist and there's no need to get out your car! A hidden gem gym at the top of the Plaza Shopping Centre. It's been the setting for a few famous ITV film shoots and has an excellent double gym class session on a Sunday morning! Share your favourite place to go to in Marylebone. "The statues of a monkey and hunchback which rest on top of Portman Mansions were not planned as part of the building's design. They appeared overnight in the summer of 1935 and no-one has ever owned up to doing it!" Stepping into Selfridges, I always feel like a kid in a sweet shop...and their window displays are unbelievable! Marylebone has developed into a very cosmopolitan central London area, which has a lovely village feel to it, despite being a stone's throw from Oxford Street. The high street is now populated with an eclectic mix of shops and restaurants, which are not the usual run of the mill high street names. On Sunday there even is a farmers market with local produce from just outside London. Despite being in the heart of London, there is a great community spirit and people actually know their neighbours! It is close to the delightful rose gardens of Regents Park and Hyde Park and there are very good public transport facilities all within walking distance. For me, Marylebone makes the heart of London feel like a countryside community. Having grown up in a rural part of the UK i thoroughly enjoy the bustling farmers market, extensive variety of shopping and delicious eateries. A classy area for all to enjoy! I'm a keen runner and so it's great to be close to the parks. There's a beautiful high street and great transport links to get around. What do you think of Marylebone? Marylebone is an affluent, inner-city area of central London, located within the City of Westminster. It is sometimes written as St. Marylebone or Mary-le-bone. Marylebone is in an area of London that can be roughly defined as bounded by Oxford Street to the south, Marylebone Road to the north, Edgware Road to the west and Great Portland Street to the east. A broader definition designates the historic area as Marylebone Village and encompasses neighbouring Regent's Park, Baker Street and the area immediately north of Marylebone Road, containing Marylebone Station, the original site of the Marylebone Cricket Club at Dorset Square, and the neighbourhood known as Lisson Grove to the border with St John's Wood. The west side of the Fitzrovia area up to Cleveland Street was also previously considered to be part of Marylebone. Today the area is mostly residential, with many medical and dental offices, traditionally concentrated in Harley Street. Since the opening of the Jubilee Line at Baker Street station (with its direct links to Canary Wharf), Marylebone â€” particularly Marylebone Village â€” has become an even more sought-after area of Central London. What are your favourite things about Marylebone? 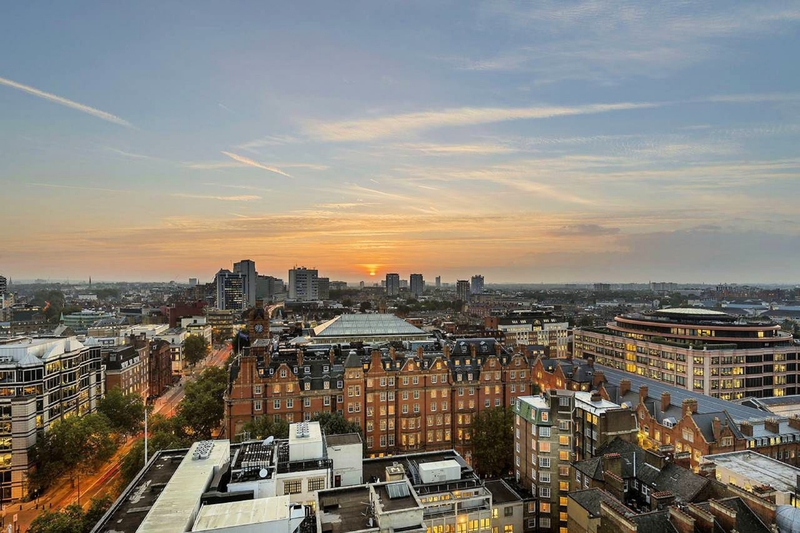 Find out how much your flat or house is worth om Marylebone. Feedback about living in Marylebone has been submitted directly by the public and may not neccessarily reflect the views of Foxtons. The description of Marylebone was modified from Wikipedia and is available under the Creative Commons licence. Land Registry data is Crown copyright. All the views and contributions contained within Foxtons Local Life are those of the contributors. All content is assessed before publishing for taste, however free opinion is encouraged. Foxtons accept no payment or sponsorship for content that is posted about Marylebone.